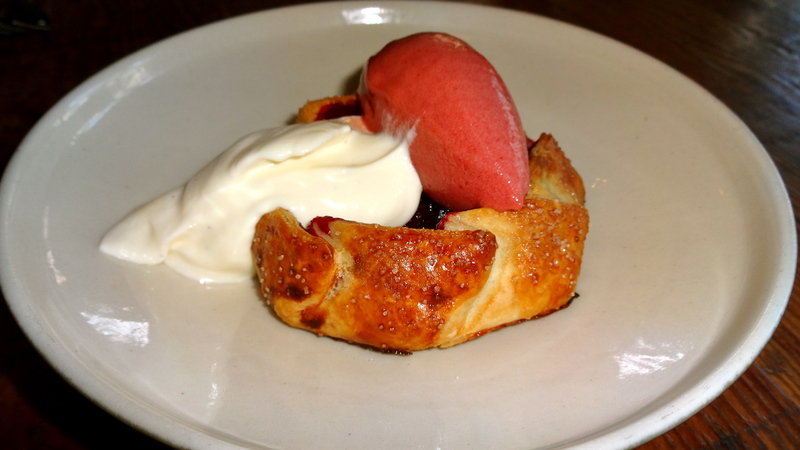 Rich Table is a popular modern Italian restaurant in the Hayes Valley area in San Francisco. 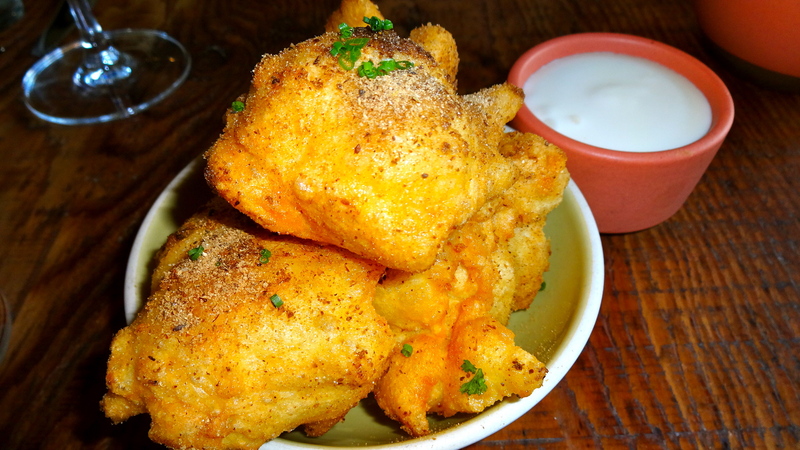 The food takes inspiration from Italian food but uses California ingredients and tries to integrate interesting combinations together. I’ve been lucky to try this place twice, in 2013 and 2014. Porcini Doughnuts with Raclette Cheese (7.5/10). 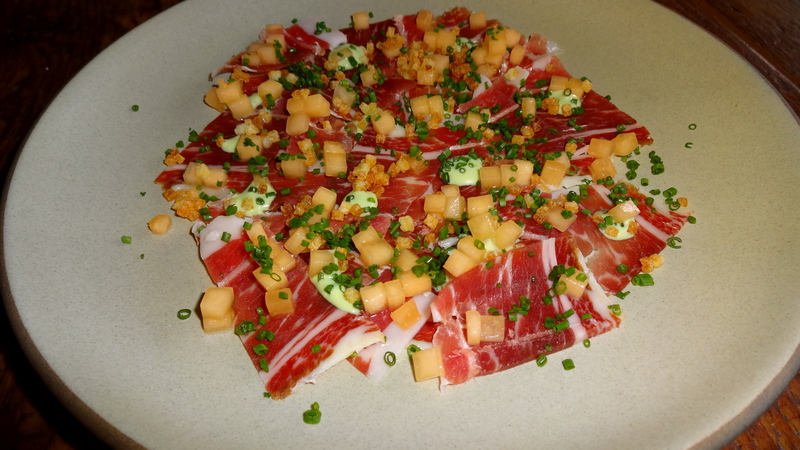 Iberico Ham, Cantaloupe, Chives (8.5/10). 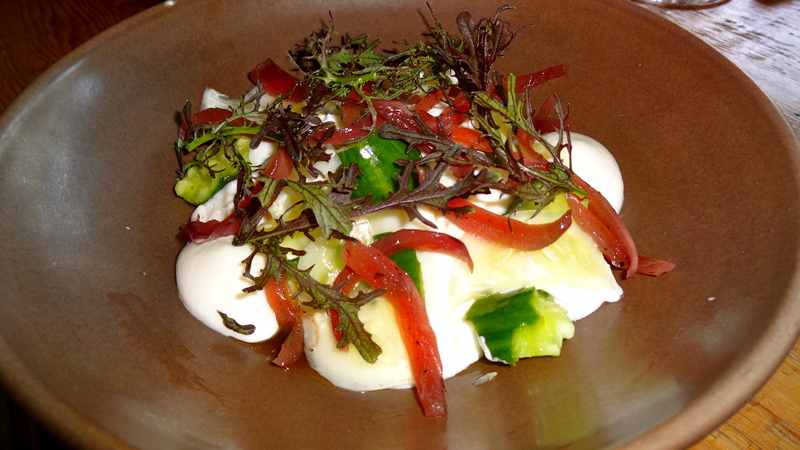 Burrata Cheese, Cucumber, Pickled Onion, Strawberry Vinaigrette (7.5-8/10). 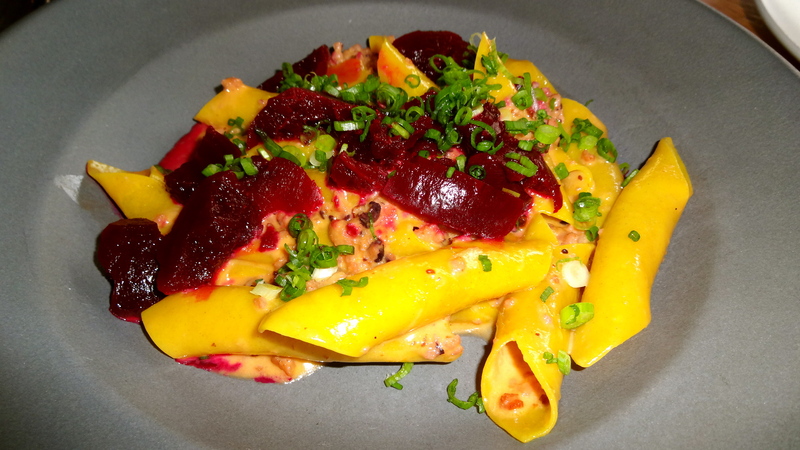 Garganelli, Octopus Ragù, Beets, Scallions (7.5-8/10). Pappardelle, Dry Aged Beef, Caramelized Onions, Croutons (8.5/10). 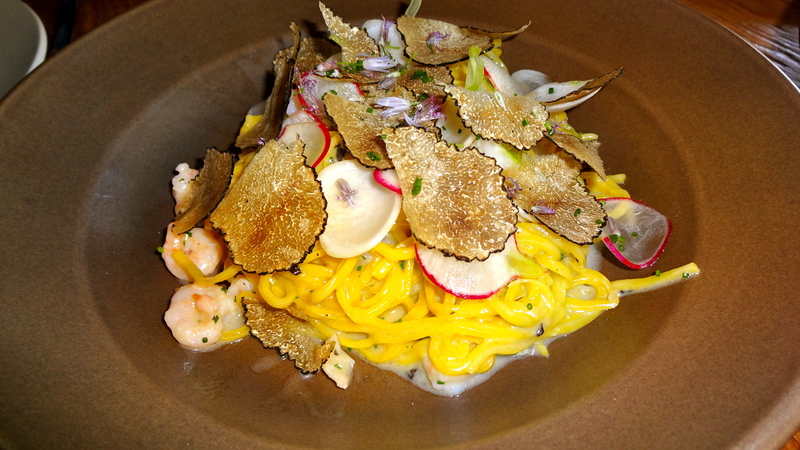 Tagliolini, Bay Shrimp, Radish, Truffle (7/10). Bucatini, Pork Belly, Shishito Peppers (7/10). Highlights of my first time here were the iberico ham, garganelli, and the pappardelle. The iberico ham, the best cured ham in the world, literally melted in my mouth with bursts of sweetness from the cantaloupe. 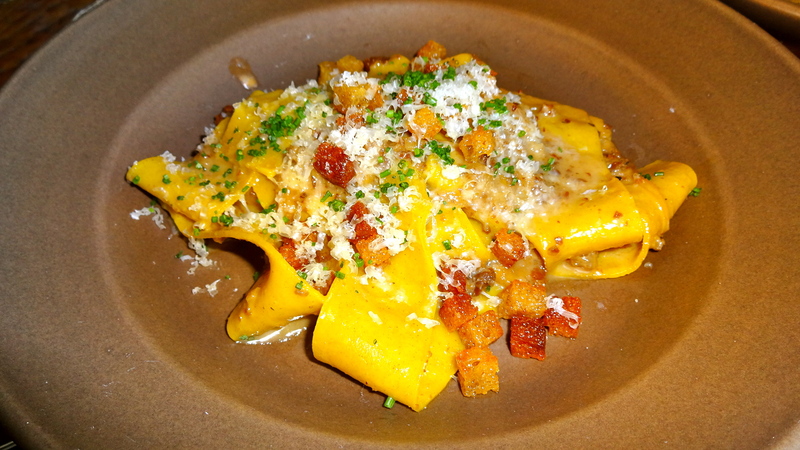 The garganelli with octopus ragù was a very creative dish with earthy red beets and fresh scallions. Lastly, the pappardelle was outstanding with meaty beef, sweet caramelized onions, and crunchy croutons. Overall, I’d rate my experience a 7.5-8/10. 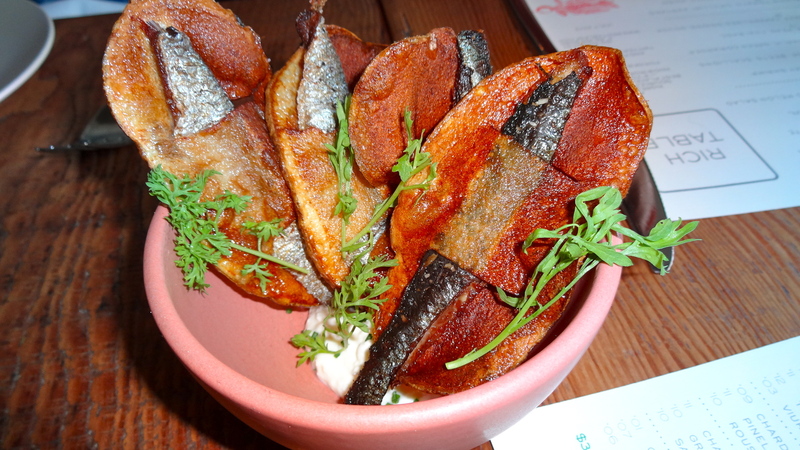 My second time at Rich Table was equally as delicious (7.5-8/10). Chicken Liver Crostini with Figs (8.5/10). 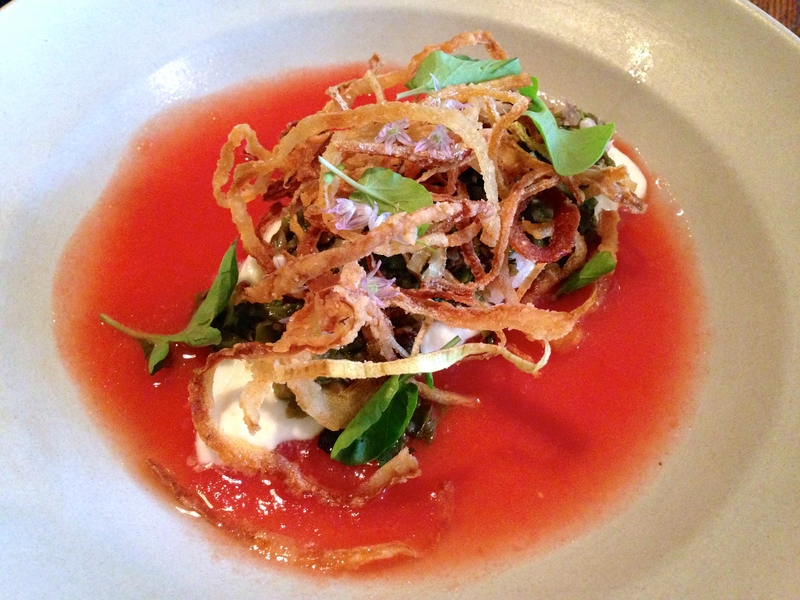 Burrata Cheese, Tomato Water, Crispy Shallots (7/10). 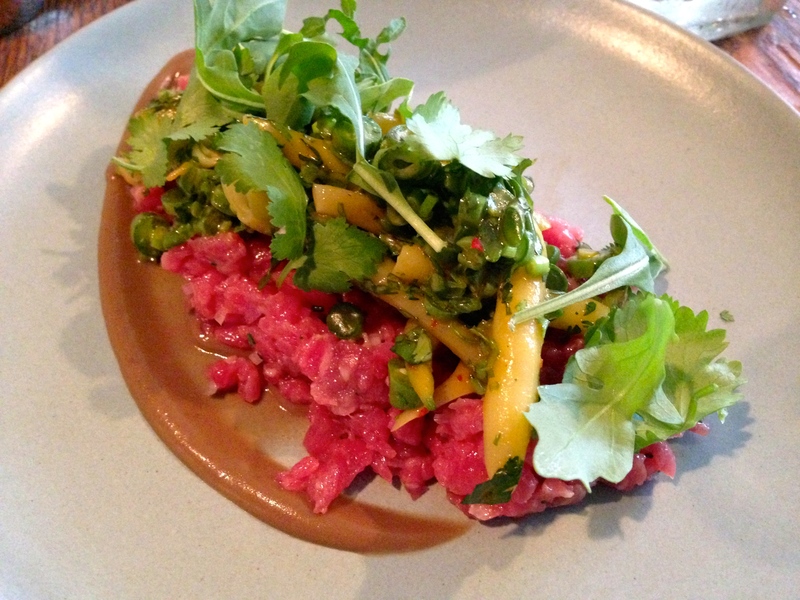 Beef Tartare, Green and Yellow String Beans, Balsamic Cream (8/10). 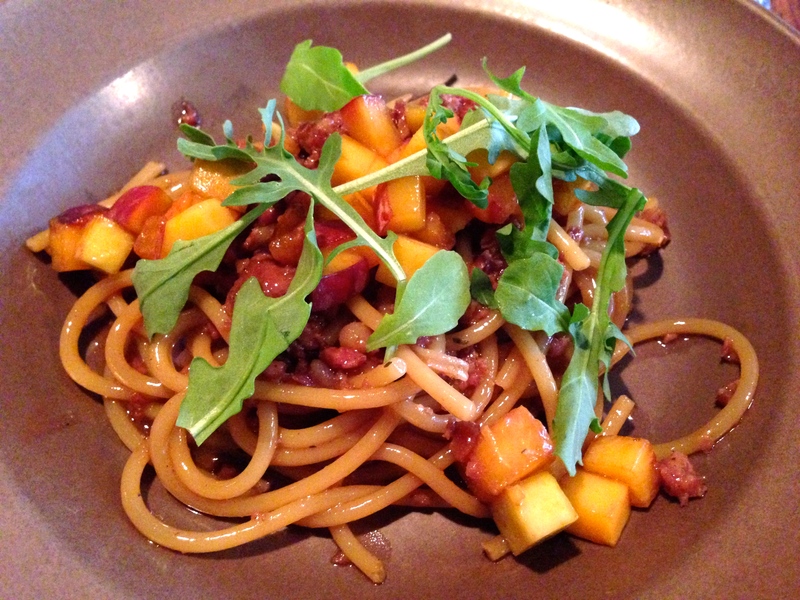 Spaghetti, Peach, Pork Sausage (7/10). 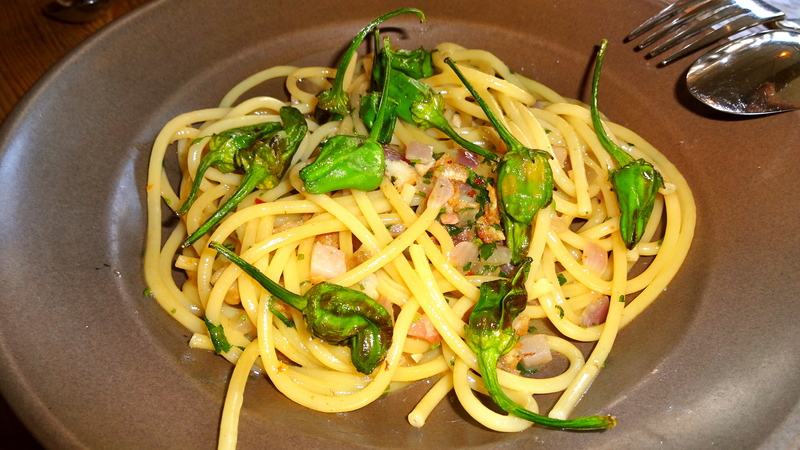 Chitarra Pasta, Anchovies, Fava Beans, Mint (7.5/10). 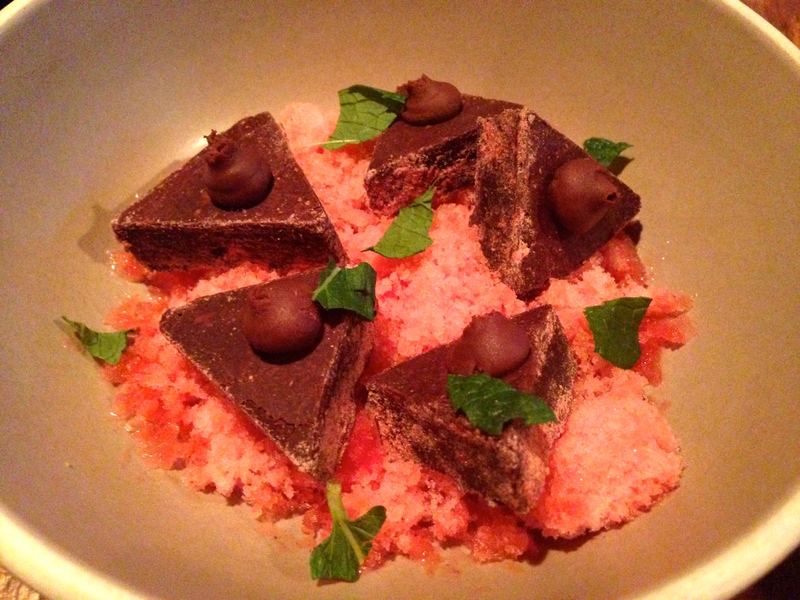 Chocolate Brownie, Raspberry Granita (7/10). Panna Cotta, Melon, Nuts (7.5-8/10). My favorite dishes this time were the chicken liver crostini, chitarra pasta, and the panna cotta. 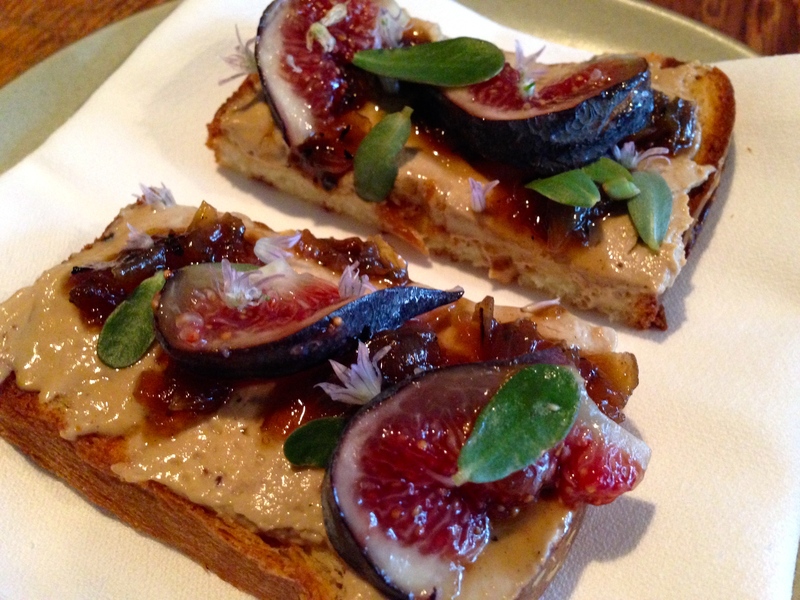 The chicken liver crostini paired with fresh sweet figs was a great way to start the meal. 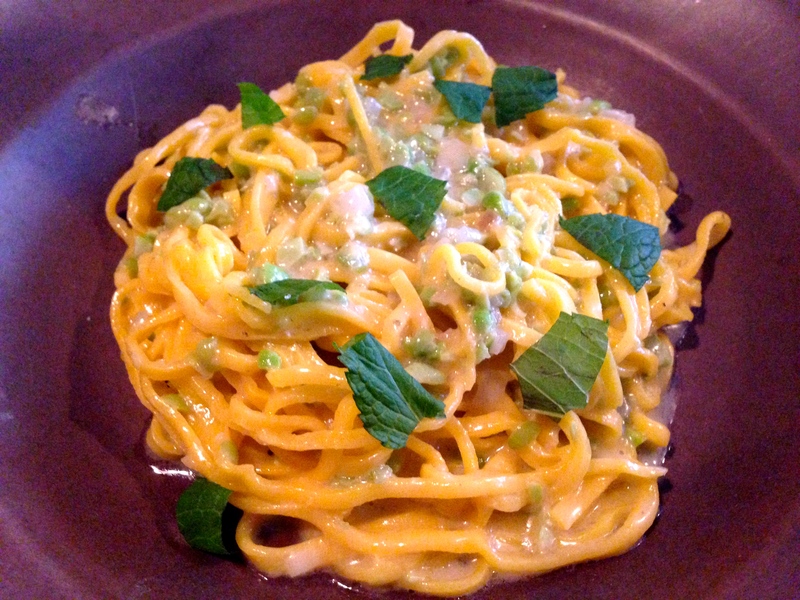 The chitarra pasta was so satisfying and creamy with fava beans, anchovies, and aromatic mint. 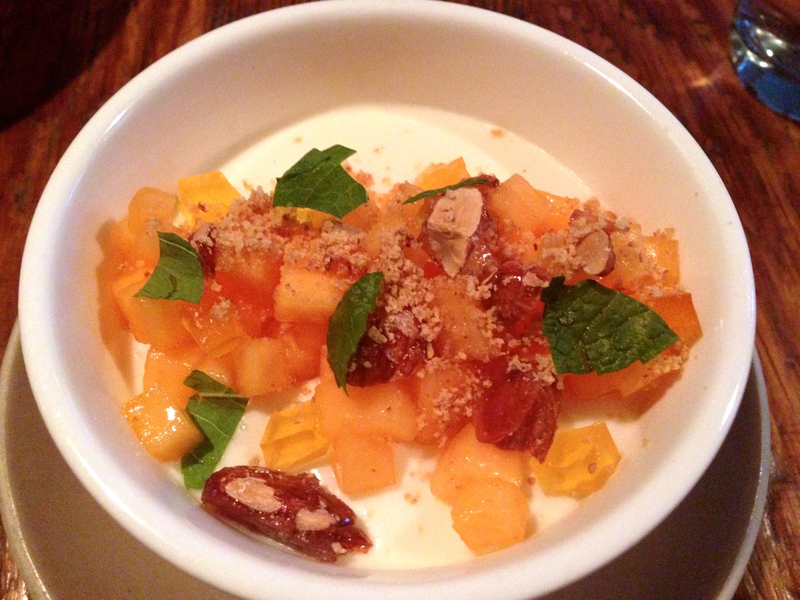 The panna cotta was made beautifully with a luscious mouthfeel paired with sweet melon and crunchy nuts. I’ve heard that some people have had some bad experiences at Rich Table but I guess I’ve been fortunate! I can understand that the restaurant isn’t for everyone. Perhaps some of the flavor combinations are too peculiar or don’t go well together for some peoples likings. However, I always enjoy and respect restaurants that push the envelope and are willing to take a chance to make something unique.